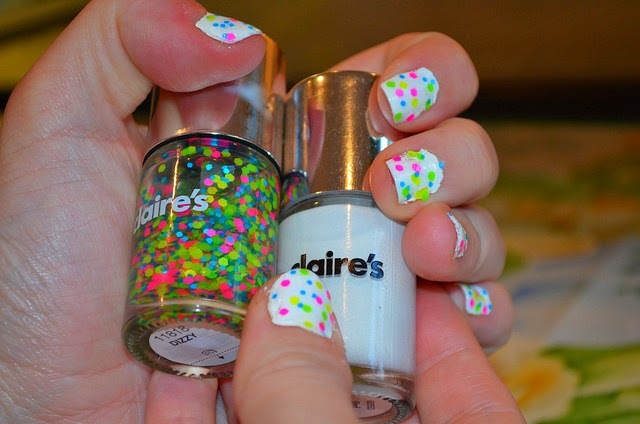 When I fancy a new nail polish, I must admit, Claire's isn't somewhere that usually springs to mind. When I think of Claire's I think of jewellery and things perhaps aimed at a younger audience. How wrong was I?! Think about it. Claire's Accessories. Accessories is a broad term - it can extend to bags, hair accessories and so on. But never once did I think it would extend to beauty and nail care. I was talking about this with a friend who exclaimed: "but Claire's does brilliant nail varnishes!". Apparently ones she purchased at school are still going strong to this very day with none of them drying up or becoming 'gloopy' like you experience with other brands. Curiousity got the better of me, and I went to investigate the Claire's Accessories branch near my office. Whilst there were some corners with One Direction fan memorabilia, tutus, and pink fluffy boas for miniature sized people, I was delighted to find that Claire's caters to a far wider age range than I originally thought. What I'm sharing with you today is a couple of nail polishes I picked up that I'm pretty excited by. Firstly because of my friend's sparkling recommendation of how durable they are. But secondly because of the price - a mere £2.50 per bottle. Considering these are comparable in size to the Models Own nail polishes, these are an absolute bargain of a price. The nail polish spreads like a dream. Time will tell how long they last before chipping, but so far I'm impressed! OMG!! this is sooo so cute! 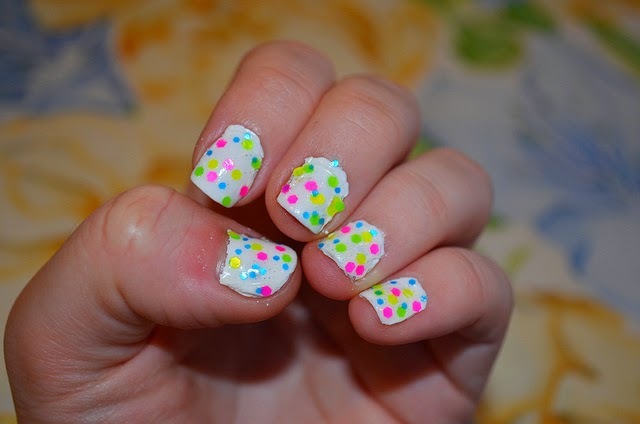 i love love polka dot anything and i especially love that you used such fun and bright colors for the dots!